"Amen.we praise u oh lord." 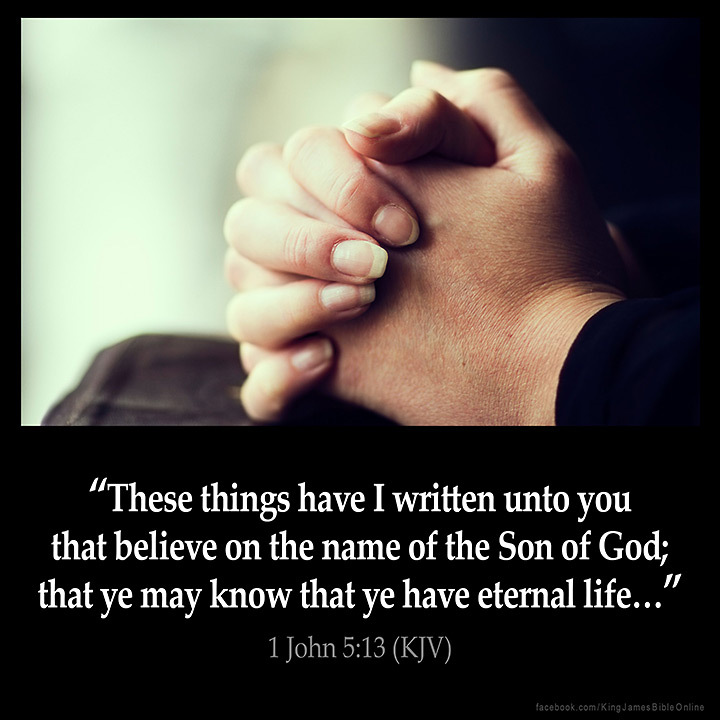 "Elshadai, I AM THAT I AM, UR MY GOD"
"I believe in the Son Amen"
"I don't understand how people can not know if they are saved or think they can lose it. Bible clearly tells us. Also see Romans 8:1 and Hebrews 6:4-6. I love the word of God and how the Holy Spirit reveals it to us. If we have a question we just have to look because just like these verses it plainly tells us." "I have eternal life in my spirit and i thank jesus for this."